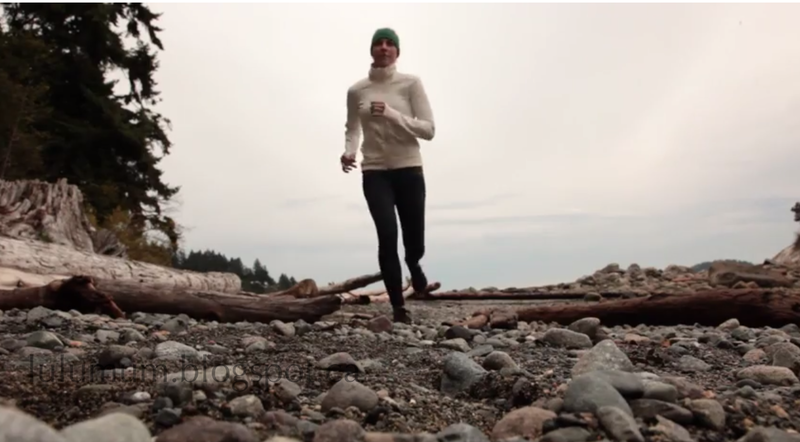 A new October Sneek Peak video was posted by Lululemon this weekend. Whats interesting is the video starts with a guy doing crossfit, so I’m hopeful we will eventually see a dedicated crossfit line. Unfortunately his clothing doesn’t look specialized for Crossfit in anyway, and it is the mens line so I suspect it just happened to be that it was just staged in a crossfit box. None of the women’s items are making me jump out of my skin in excitement but I do see a couple of interesting colors. Look at the color of her headband!!! It looks like a foresty green. Love it so far. A pretty Angel Wing Run jacket. Possibly fleece. Green Bean Flow Y Bra, or possibly another green. It’s hard to tell but I think it is Green Bean.